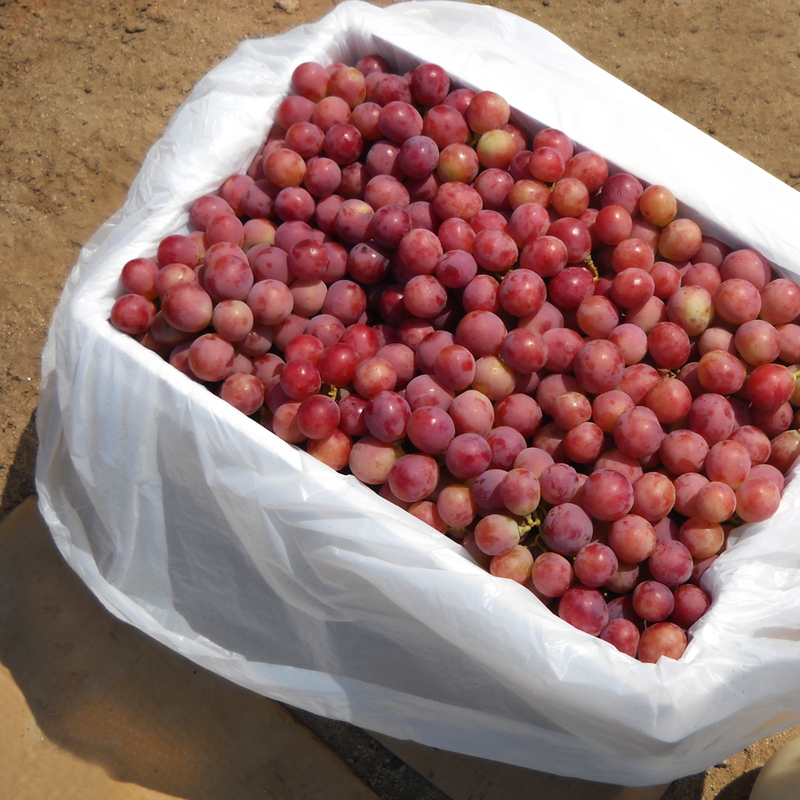 Liners are used for the packaging of table grapes, cherries and various other tree fruits; the poly liners protect the fruit from any possible dust or debris during shipment and also help maintain the correct level of SO₂ release generated from SO₂ pads when used for the packaging of table grapes. The poly liners can also be used as lids on the boxes of fruit or as a bag placed inside boxes for additional protection. These liners are made from High Density Polyethylene and are perforated in three different hole sizes: 1.5 mm, 2.7mm and 4.75mm. Our poly liners are available in two different dimensions for all hole sizes; the dimensions offered are 105cm x60 cm as well as 95cm x 60cm.